Now I know that some of you reading this will be surprised to learn that there is a church which does not use instruments in worship. You may be tempted to roll your eyes and think “that’s crazy.” Can I just ask for your open minded reading for a few minutes? I am only talking about music in the worship to God. This isn’t about any other kind of music. Just music in the Christian worship. Most everyone I know enjoys music of some kind, from country to opera. It’s not about music generally but just about worship music. The churches of Christ strive to follow a Biblical model for worship. In other words, we look to the Scriptures to try and understand how God wants us to worship him. Jesus said that God wants people to worship him in “in truth” (John 4:23). Our desire is to do just that. Since God’s word is truth (John 17:17) it makes sense to look to his word for any direction or guidance on how God desires to be worshiped. That’s an easy concept to state but quite difficult to put into practice sometimes. We tend to want to do things our way and chaff against authority. But if we are going to worship God we should worship him in a way that he desires, not what we desire. In the 18th century a religious movement began to coalesce around the churches of Christ. Men and women began to leave denominations and sought to be added, by God only, to the church (Acts 2:41, 47). This movement, known as the American Restoration Movement, developed an informal slogan that we should “speak where the Bible speaks and be silent where the Bible is silent.” This is still an excellent foundation. Mechanical music is found throughout the Old Testament. It’s on page, after page, after page. Trumpets. Cymbals. Harps. Lyres. The worship of God in the Tabernacle and Temple was full of instruments. They were there because God ordered their use. Any Jewish person, from youth to old age, was accustomed to seeing and hearing the playing of instrumental music in service to God. Despite all these mentions we no longer live under the law of Moses or Old Testament. Despite the many Old Testament references to worship music, there are precious few mentions in the New Testament and none of them mention instruments. There are some references in Revelation but these are clearly not references to the church but to Heaven and these are obviously not material, physical instruments. That’s it. Again, there are a few verses in Revelation which speak of music but not in the church. The Revelation passages are of a new place and new time far different from the world and covenant under which we live now. Notice that every occurrence of music is of singing, not playing. Just make that note for now, I will come back to it shortly. Remember, our purpose is to stimulate your thinking and Bible study. Consider our worship. The target or object is God. God has always told people how he desires to be worshiped. Even as early as Cain and Abel (Genesis 4) God had specified what he expected. When men went their own way they were punished (Genesis 4:5; Leviticus 10:1-3). When the worship services in Corinth became self-centered and chaotic Paul rebuked them (1 Corinthians 11:17-33; 1 Corinthians 14:26, 40). My point is that we should worship according to God’s plan. God seeks those who worship in truth (John 4:23-24). Likewise, we want to worship God His way. We conclude that there is no example of the New Testament church worshiping with an instrument. There is no command to do so nor is there any inference that such was used. But is that sufficient to say that we should not use the instrument? At the very least, if there is no authorization to use instrumental music then it must be affirmed that we must presume that it is acceptable if we wish to play. Presumptuousness is not good (2 Peter 2:10; Psalm 19:13; Nehemiah 9:16, 29). It puts us in the position of assuming a thing is good even though we have no such word from God. The lack of any endorsement of instrumental music in the church is a deafening silence. Many would say that an argument from silence is weak. But if we expect some comment or endorsement and yet do not find it that silence becomes very loud. Dozens and dozens of time we read of the instrument in worship in the Old Testament but not one single occasion in the New. Doesn’t that strike you as strange? If we open our worship to anything not specifically prohibited then we have services that serve the creature and not the Creator. Personally, I love music. Music has been a major part of my life from a very young age. I have studied trombone, baritone, piano and guitar and I am an excellent “shower singer.” Music is a gift from God. It was God who created the laws of physics which govern things like frequency waveforms which give us music. I cannot imagine what life would be like without it. But worship to God is not about what I like it is about what God desires. The Old Testament was about things. The Temple/Tabernacle, sacrifices, altars and such. But in Christ it is about the inner man. It is about the heart. And it is with the heart that we make our music (Ephesians 5:19, et al). I am certainly not your judge. But I would ask you to consider prayerfully what the Scriptures say and what they do not say. As for me, the lack of any mention or authority in the New Testament, even though expected, is enough for me to sing only with my mouth and heart. As I mentioned at the very beginning, this is new to some people. I suspect that many readers will disagree or have questions. I certainly welcome those questions. I would ask that you make your comments here on the blog itself so that all people can read and evaluate our thinking. A well written and logic based article. 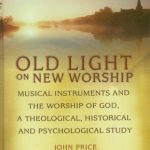 May I suggest reading (if you have not already) “Old Light on New Worship’ by John Price (Avinger, Texas:Simpson Publishing) 2005. First of all, brother, you ought to correct at least TWO errors you make about the disposition of “music: in mainline churches of Christ. One, we DO worship with MUSIC. Singing “a capella” IS MUSIC. Two, we DO worship with musical instruments. The instruments are the commanded New Testament instruments of the heart. 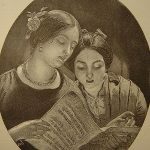 We DO NOT worship with MECHANICAL instruments which would be a violation of the well known scriptural authorizations for music – singing and singing only, as you know. Then, perhaps you can find a common basis for a reasoned logical discussion for those who are ignorant about what the New Testament teaches. All that you DID say may be well and good, but until these two facts are ingrained in the minds of the gainsayers, the discussion is probably doomed to failure. I really think the post is very clear that we do have music and that the instrument we use is the heart and the lips. I really don’t think it’s going to misunderstood. I tried to prompt some thinking and, given some of the responses that have come in privately and on FB I think that has happened. Obviously many will disagree but at least the basic facts are before them. Failure? I don’t think so. Anytime people turn to their Bible it is a success. I am pleased you visit here but please be a little softer in your attitudes and please do not call names. Just because someone disagrees does not make them a gainsayer. Doctrine is important and those who divide the church over their ideas will make us angry but many here have never heard some of the things I am writing about. I believe we will catch far more with kind words and an understanding heart than with confrontational messages. I do understand your point however. Good article. Very clear and well written. Thank you Bryant for a good summary. It serves as a good review and instructional as well. I was just talking to a gospel preacher last week about instrumental music in the OT and instrumental music in heaven but no instructions to worhip with instrumental music in the earthly assembly. Thanks Billy. I appreciate you visiting here and your comments. For many this is simply a review but for many readers this is the first time they have seen our reasoning. I am prayerful that it will prompt some personal study and reflection on giving God glory. I’d like to start out by saying, I very much prefer A Capella over mechanical instruments. As you said most Church of Christers LOVE music. I’ve never been able to learn to read shape notes (despite many valiant attempts and wonderful teachers), but I prefer to use just my voice just the same. I do have a couple of questions though. How do you address such issues as Gospel meetings, Sunday School, Bible Classes, etc. that are not mentioned in the NT, yet are widely used? Under the silence argument you made, those too would be wrong. Billy, your reference to Instruments in Heaven, I assume, is from Revelation. Remember that language is highly figurative and much has no connection to “heaven.” Heaven is a spiritual place and instruments are physical. “Ain’t” no one taking their pianos with them, and if they do if won’t be to Heaven. lol! Thomas the instances you cite are evangelization and edification, which are commanded; whereas mechanical instruments are additions to the scripture, and are implicitly forbidden. Sing means sing, not sing and play. If it meant sing and play then EVERY Christian must play, not just one or a few. So adding to the scriptures for evangelizing and edification is ok… but not if it’s the song service? That’s not at all what he said nor what he means. I think you know that. The Bible tells us to evangelize, to go into all the world. The Bible says go but does not say how we are to do it. The Bible says to sing which is a specific action. Sing and play are not the same. As to the silence question please understand that it is silence on a subject about which we would expect to hear something else but we do not. That makes the “argument from silence” far more compelling. Do you think it just a little odd that in spite of all the OT references to instrumental music there is no mention of it in the NT? Noah was told by God to build an ark. He did so and was pleasing to God. Yet there was never a command to us a hammer or saw. The command to build obviously included those things. You cannot build a thing without tools. Singing however does not require nor does it need something to be played. I’m not trying to be difficult. Please understand that everything I write is intended in a spirit of love. My goal is not to make you change your views (as I said, I my personal preference is A Capella), but to have you reexamine your arguments so that they are consistent across all subjects. The argument against Bible Classes, et. al. really is the same as mechanical instruments. I grew up in one of the non-Sunday School Churches of Christ. Every argument that you use against instruments (silence, examples of it not being used before such and such year, etc.). You mentioned the Noah argument (or necessary inference as we hear it called a lot). Just as singing does not require an instrument being played, evangelizing and edifying doesn’t require meetings or classes. Building an ark, however, does require tools. In fact Paul tells us that it is a father who is to teach his children. In Deuteronomy we see the same, the parents instructing their own children. And during the assembly they are all together. I’m not saying you should shut down your Sunday Schools, and I’m not saying you should pick up instruments if that’s not your prerogative. But from my studies, God is very good at letting us know when there’s something that he doesn’t want us doing. The Bible is for all to understand, it’s not a riddle book where we have to figure out the right inferences to hope that we get to Heaven. I think I mentioned earlier that these were good questions and deserving of a good answer. To accomplish that I will write a couple of articles about the questions you asked. I am not foolish enough to think they will answer everyone’s questions but it will be a start. Please be watching and if you have not done so, please subscribe so you won’t miss anything. It’s free and carries no obligation at all. Mr. Paulson, without trying to be difficult, you ARE being difficult. Are you trying to tell me that you have NEVER studied with anyone other than 11:00 AM and 6:00PM on Sunday? If you have never studied with a group, or even one on one, then you have NEVER evangelized or edified! You are just drawing an arbitrary line in the sand between whether to have one hour, or two hours, or three hours, or four hours a week. The first century Christians were not unaccustomed to meeting EVERY day to study. YOUR preference and MY preference is of no consequence – the deciding factor is what God’s Word teaches. If the binding example and pattern for worship is found in Deuteronomy, then you are missing out on some additions and subtractions. How many times a week are you instructing your children in the home? Studying the Bible in a class situation is an expedient, whereas using a mechanical instrument to accompany singing is an unauthorized addition. If you cannot see the difference, you just need to pray for wisdom and keep your mouth shut until you receive some. With all due respect my desire is to please God and not to offend anyone. I will admit that I am a babe in my walk with Christ. I believe and follow the bible in its entirety. Therefore, here is the dreaded but my concern is that of not holding to the teachings and the instructions of the Old Testament. Along with the new testament. Does not Jesus refer to the Old Testament on several occasions throughout the New Testament? I am a woman I should say and I am hoping I am not offending anyone by asking this or expressing my concern. Chantil, you are always welcomed here and your comment is not offensive. All are encouraged to read and reply as they see fit without regard to gender. Both the Old and New Testaments are inspired by God and both are useful for teaching, training and correction in righteousness. But they are different in important ways and as such we must carefully differentiate what is to be our guide for life and worship today. For example, the Israelites of the Old Testament worshiped on the Sabbath, or Saturday. Christians worship on the first day of the week, Sunday. Some things in the Old Testament are not appropriate for the present age because God has not approved them for our use today. May I suggest you read the post at https://preachersstudyblog.com/2010/07/understanding-bible-covenants/ on this site for more information. If God is the object, recipient or target of our worship, and he is, shouldn’t we follow his instructions for worship explicitly? Do not use instrument while worshiping. there is no direct command like this. But there is instrument used for to say certain thing for us for example Luke 15:25. There is a dance and music when prodical son returned. Paul gives example 1 cor 14:7-9,Even musical instrument the flute,harp and army bugler while playing those instruments the tune should be recognized. 1 cor15: 51 when the last trumpet blown. there is a instrument when Lord comes.In the book of revelation you can see the trumpet mentioned. So there is a examples for instrument play but there is no single word that we should not use instrument while we worship.Our leader is Jesus christ not Alexander campel and others we do not need others openion, statements and church of christ traditions.Still we need reformation in church of christ. I think nothing wrong with instrument music.We should not be a overly righteous persons. Samuel, I appreciate your remarks and your visit here. You reference the instrument in the New Testament but you make a critical error. These examples are not of the instrument in worship. One of the very first things I mentioned in the article was that we were speaking of worship only. If you were to come to my house on any given day you might find me playing a guitar, one son playing piano, another trombone and a third, tuba. My wife might be whistling a favorite tune. But none of that enters the worship. I also dealt with the Revelation examples which are clearly spiritual and not pertaining to the present order of worship. Surely you don’t believe the harps and such in heaven are literal do you? This entire article is about church worship only. Now I think that English is probably not your first language so I don’t want to make too big of a deal over you last comment but do you really believe there should be some limit on our righteousness? Ewell, I think you partly misunderstand me. I do not bind not using Sunday School. I, However, did grow up in a tradition that did, so I remember very well the arguments that were used. As I grew and was able to ask more intelligent questions, I was able to look at things objectively and see that it was binding something that shouldn’t be bound. I still think that expedient vs. additions is a very fine line. But, as you said, that could just be because I have a deficiency in the wisdom department. Bryant, I look very forward to reading your articles on the subject. Those are questions that I don’t think many people answer. I think it’s great that you’re going to answer them. I’ll be sure to subscribe. And I notice you did not answer any of my questions. Let me repeat to aid your understanding. A “Sunday school” class, which is a term I do not normally use, IS evangelization and edification. An extra hour of evangelization and edification is not adding to the scriptures which teach us to study and teach and preach. Adding an mechanical instrument IS an addition to the scriptures. You either understand that an are deliberately being divisive and contentious, or you are ignorant and not able to understand. Those are the only two choices. Saying you believe in “a capella” but you don’t believe the scriptures bind it, is a clear violation of your conscience, and I assume you have one. That attitude is the modern day concept of “political correctness” gone amuck. God’s law is NOT politically correct. Let’s all just go along and get along… you have your a capella and that is OK, and I’ll have my mechanical instruments and that is OK. The line between expedient and disobedience is usually very well defined. By the way, your slide from ultra conservatism to liberal progressive-ism is typical of many “anti’s such as Ketcherside. Start out at one extreme and end up ten or twenty years later at the opposite extreme. If so called Christians would anchor on the solid rock of absolute Bible truth, such extreme pendelum swings would not happen. You are very correct that we cannot worship God in any way that we like. Likewise, you are correct that we must worship God in Spirit and in Truth. However, it is not entirely correct to say that “God has always told people how he desires to be worshiped.” For who authorized the Temple (II Sam 7:7)? Who authorized the feast of Purim (Esther 9)? Where is the feast of Dedication (John 10:23) authorized? What about adding wine to the Passover—certainly this was to follow the biblical precepts, no? Many more examples of ‘unauthorized’ worship could be given (the Magi, Palm branches in Luke 19, Abraham building an altar, etc., etc…) Most of course are non-repeatable instances of worship—but the point is strictly that God has loved the spontaneous worship of those who have sought to please Him—even when this meant straying from the mechanical pattern of their predecessors. You have asserted, but not proved, that singing-only has been specified as New Testament Christian worship; however, it is an important fact that no one in the early church (for at least the first 300 years) ever used these verses (Ephesians 5:19, et al.) to argue for what God has specified. While I would agree that the early church did in fact not use instruments, we seem woefully ignorant as to why this was the case, and deceptively speculative in our inferences as to why we MUST copy them. But certainly it is a gross anachronism to suggest that an exhortation to sing is also necessarily a command to not use instruments. Your comment regarding silence is of course a false dichotomy (either we do things this way, or else everything is allowed). This only begs the original question: Is singing with instruments accepted by God as a form of corporate Christian worship? Finally, I would ask that you prayerfully consider whether some of your statements here are more Platonic than Christian. To say the “The Old Testament was about things” can certainly appear to drive a wedge between the Old and New Testament. And this can then suggest that we accept a physical/spiritual dichotomy, or a sacred/secular dichotomy. Getting to the point, however: where you seem to find a continuity between the testaments in how God specifies worship (reading the NT like it’s Leviticus) and a discontinuity between the testaments in what God wants, I, on the other hand, see a discontinuity in how God has told us how we are to offer worship (Jesus’ sacrifice will always remain the highest point of love and sacrifice that any other act of worship must point to), and a continuity in what God desires from us ( that we do not have an arbitrary God who picks random forms of worship for various dispensations!). While the early church was careful and diligent to not ape the Jews or the pagans with their ceremonial worship that included instruments, and while we should certainly not NEED or require instruments today, it is still an unnecessary inference to suggest that we must not use them! You make several points which I will try to discuss. I will approach them piecemeal to keep things clear and because of the limitations of the commenting software (not sure the length allowed). You ask who authorized the Temple? I am surprised at that. God gave Moses the detailed instructions for the Tabernacle while at Sinai. Generally this begins at Exodus 25 and continue for several chapters. The Tabernacle itself, the forerunner of the Temple, is mentioned specifically in chapter 26. Inasmuch as these words are from God himself I would think the answer is obvious. As to the Temple itself, God told David that Solomon would build it for him (1Chronicles 22:6-19, esp. 10). That came to fruition, as God had said, in 1 Kings 5:5 beginning and concluding with 1 Kings 6:38. It was occupied with glory of God in 1 Kings 8:10-11. The Temple was undeniably built by the direction and at the authority of God himself. In the passage at 2 Samuel you reference God is in fact regulating when it would be built. Purim was not authorized by God. It arose at the suggestion of Modecai in Esther 9. When the Jews returned from exile there was great disagreement over whether or not it was appropriate to celebrate it. Some events in the New Testament may be timed by their relationship to the feast but I would challenge you to show that this was “loved by God.” There is no indication that God ever said anything about what was and is, a largely boisterous non-worship event. Likewise, the Feast of Dedication was a creation of late Judaism and not by the direction of God. Would you offer some comment of approval from God of this as a worship event? Judaism was both civil and religious. There were events the Jews engaged in that were not part of worship. I speak in this article and here only of worship. I am not sure what you are saying about wine and the Passover. Perhaps a clarification? I will address other points shortly. My point is that in II Sam. 7 we see God accepting something that He did not command. Again, the point is that it is not so simple as to say that we have always been told exactly what to do and how to do it. God has honored the hearts and minds of those who have earnestly sought to glorify Him! Regarding the Passover, wine was not prescribed in Leviticus or Exodus for this meal, so who added it? By what authority? Regarding the Feast of Dedication, I see no biblical evidence that God disproved of this Jewish addition. I’d rather not argue ad nauseum for this point—it should be clear that while we can take a minimalist approach to worship (perhaps out of fear—that the Lord is a hard man (Matt. 25:24)) it is also plain from scripture that God does allow some additions and inventions in worship. For Jesus said nothing against the addition of wine during Passover…Jesus said nothing about the addition of Synagogues for use in worship. But really, if we were to go on a witch hunt for inventions and additions, then I’d ask who invented this Baconian empirical approach to scripture? Who invented this particular bent on hermeneutics—picking and choosing verses atomistically and arranging them into a rigorist structure for prescribed worship? There are roughly 32,000 biblical quotes found in the early church writings (up to 325 A.D.)—with all but eleven verses from our bible found therein. Among the early church writings you can find many rhetorical pleas for the church to not ape the pagan or Jewish worship; but never, never do you find the early church using the verses you cite to authorize singing-only, or to forbid anything else. There are no instances of the early church interpreting or using these verses to specify how Christians are to worship. So one must ask: where did we get this special knowledge to interpret these verses above and beyond that of the early church…? Ryan, your statement “My point is that in II Sam. 7 we see God accepting something that He did not command.” is flat out NOT TRUE. The fact that GOD did not tell you what was required is immaterial. He told those alive at that time what was required. You do not need to know EVERY detail which God commanded those under the Mosaic LAW because it is not required for your instruction. We do not know everything God required of Cain and Abel’s worship, but we are told Abel obeyed and Cain did not. It does not matter what minute detail of disobedience Cain engaged in. We are told his offering was out of compliance, and that is all we need to know. Your straw man argument about the 32,000 quotes from church fathers is immaterial also. Why should they NEED to remind you of something already PLAINLY TAUGHT in the inspired canon? – that mechanical instruments are NOT AUTHORIZED, and were NOT used in the worship of the early church. The text plainly has God questioning David/Nathan’s notion that He wanted a house to be built for Him. I do not see why this is difficult to read… But anyway, it is not necessary to stay on this point. In the New Testament we see Magi bearing gifts, women pouring out perfume, etc., all obvious images of worship—and though the narrative is clear that these are not repeatable examples for us today, they are indeed acts of worship that were not authorized in the sense that you elicit. I think I see where you are going with Cain and Abel. The typical syllogism here is that Abel offered a better sacrifice because it was in faith (Heb. 11:4), and faith comes by hearing the word of God (Roms. 10:17); therefore, Abel must have been told ‘specifically’ what to do and have obeyed it. I’d actually agree with this logic if it wasn’t predicated on a certain understanding of ‘specificity’: that which excludes anything non-essential based on tacit list of assumed options. So we assume that when we are exhorted to sing that this is specifying a choice from a list of other things which are to be excluded: namely here instruments. But this is not how language always works. As a quick example: if I say to my wife, ‘I’m going to run down to the store’ did I just specify my mode of transportation? No. Even if I did use my own legs for years to get to the store, this statement does not necessarily imply a specific mode of travel. Likewise, the speech-act say in Eph. 5:19 has no ring of specificity in it. In fact the pleonasm of ‘singing songs, hymns, and spiritual songs’ almost demands a metonymical interpretation! Regarding the church fathers, that’s just it, they do keep reminding us why they did not use instruments. But it is not because they are not allowed, or because scripture forbids them. They simply were not expedient in their day. That’s all. It is similar to the reason why one could not be in the military and also be a Christian in the early church! All this talk about ‘authorization’ has a history. It is a tradition—from Zwingli to the Puritans and on to us. While I believe we MUST base our practices on biblical and theologically sound principles, I see no reason to develop a mechanical pattern in copying only the items that we see clearly in the New Testament (clearly while wearing the welding mask of the CENI principle of interpretation). Like a civil war reenactment this might look faithful to the original, but it misses the real battle! Ryan, let’s address your items of worship. Magi bearing gifts. What does that have to New Testament Organized worship. I probably wouldn’t have a problem with your sitting in your living room playing “amazing Grace’ on your guitar. I might whistle it while I mow the lawn. Nothing to do with church assembly worship on the Lord’s Day. Are you going to bring in foot-washing on the Lord’s Day? Your illustration on running to the store only illustrates you are more careless with your terminology than the Holy Spirit. I suspect your wife knows exactly what you meant, just like I KNOW what the Holy Spirit meant in Eph 5:19. There is NO way you can justify a mechanical instrument in Eph. 5:19. 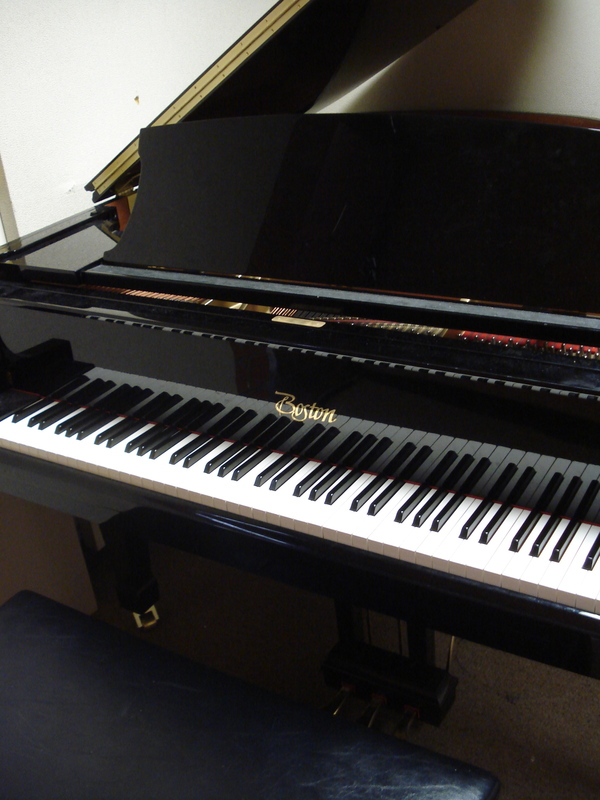 A piano cannot “SPEAK.” You cannot make melody in your HEART with a guitar or drums. SINGING cannot be done with an instrument, although signing can be accompanied by an instrument. The context does NOT authorize mechanical accompaniment. Your comment that in the 1st century church instruments were not expedient. They were just as expedient as Psalm 150 or Revelation 5, which you progressives use as authority. As for God not allowing David to build a temple, the reason is because David was known as a man of war, and God reserved that task for Solomon. God WANTED it built, and HE had it BUILT to his EXACT instructions. Just like He had done with the tabernacle. God’s people were not allowed to fill in the blanks THEN, and we are not allowed to fill in the blanks NOW. Mechanical instruments are additions – in violation of Rev. 22:18-19. By the way, in what version did you find the word “magi”??? It appears since you reject the concept of CENI, what difference does your rationalization make. Just do what you want is your authority. Just be honest and admit it. Ewell, I’m a little surprised by your response. You appear to be making a number of hasty judgments. Why? Not agreeing that we must singing-only does not mean that I therefore think that everything allowed—far from it. So, I find little warrant to being called a relativist. And if you understood the philosophical underpinnings to Secular Humanism, then I think you’d find that it is the traditional church of Christ position, not I, that is closer to this perspective. But let’s leave the ad hominem arguments behind us. I believe that you do know what the inspired Paul meant by Eph. 5:19, he meant to sing. The point remains, however, that this does not necessarily exclude instruments. You could draw such an inference, but that would be speculation. I’d like to stay on the Temple issue out of 2 Samuel for a bit. The passage in view does say that David desired to build a house for God. That same passage, as you have observed, also has God questioning that desire. However that is not the end of the matter. Clearly, what David desired in his own heart was good (1 Kings 8:18) but it was not what God desired. God had a positive desire and command for the construction of the Temple which he brought about through the person of his choosing, Solomon. Your original post asked, “Who authorized the Temple? It should be clear that God authorized not only the Temple but the very person who was to oversee its construction. I will leave this particular comment to stand and use another to answer other points. I think we should address your questions as you have asked them so nothing is left out. Allow me now to address your concerns about the wine or fruit of the vine at the Passover. You are correct that there is no mention of any kind of drink in association with the Passover. The emphasis seems to have been upon the nature of the bread, in this case, unleavened bread. Now if we are discussing the Passover only we would say that since God specified nothing concerning drink it was left to the decision of the participants what they would drink. As we come to the New Testament it is Jesus himself who tells us that the feast he participated in contained “fruit of the vine” (Matthew 26:29). It was from this drink that he gave unto us one of the emblems of the Lord Supper. In the pericopes from each of the synoptics Jesus confirms the presence of the fruit of the vine and commands its inclusion in the Lord’s Supper. I would add that Jesus’ presence at the feast of Passover with the fruit of the vine, confirms its acceptance. Now, had there been a positive command for water at the feast when instituted in Exodus, we would have a challenge but that was not the case. There was no drink specified, suggested or seen as an example. I certainly did not mean to suggest that we should become incredulous regarding wine (or today’s modern equivalent) at the Lord’s Supper—I was talking about the OT…but again, my point has been clear. There are objective instances of worship, public or otherwise, that did not require authorization in the manner that we in the churches of Christ espouse. The issue is not whether we need authority or not—we do— it is instead ‘how does the bible authorize’. Our teaching says that silence equals a prohibition, but this is not true for 2 reasons: (1) because the bible is never really silent on any matter, that there are principles and such that we can appeal to, and (2) that there are examples of those who acted without the need of what we call ‘authority’ and it was accepted as faithful worship by God. Out paradigm of interpretation, the CENI method is a valid method of interpretation. Again, we can and have learned much from reading the bible through this lens. But that being said, this lens also has its blind spots. So if we see that certain biblical texts don’t seem to fit well with our method of interpretation then we shouldn’t just make it fit by adding in ad hoc rules (‘well, they must have had inside information’)…no, we should seek to augment our perspective with other hermeneutical tools. So again, who authorized the Palm branches in John 12? Who authorized the use of synagogues? Where did David get the idea of pouring out a drink offering? Who told Abraham to build an altar? What verse told Mary to anoint Jesus? It should be clear that our CENI lens (which you expound above) cannot account well for these examples. So does this mean then that everything is allowed? Absolutely not! But if we tug at our logic a bit we may learn some things about our method (which has perhaps become revelation). So, do we sing only inspired Psalms, as some do? Why not? Should we drop four part harmony, since this is a recent human innovation? As a group we have a set of presuppositions that affect the way we read scripture, we can’t escape this. But are these ideas themselves biblical—harmonious with the flow of all of scripture? I find no example in the early church of people who lived this split life of sacred / secular! I see no evidence of Christians using instruments at home or at the theater. So while I disagree with those who believe that instruments are always evil, I respect their beliefs far more than those who play instruments for ‘fun’ during the week but believe that God wants us to have nothing to do with them when we assembly together in His name. This kind of sacred/secular thinking is completely foreign to scripture! It ends up making New Testament worship into nothing more than a shadow of the Old. So does this mean that just because something is ‘good’ that we can then offer it to God as praise when we gather? No. But I do believe that New Testament worship is more open than the CENI method of interpretation would allow—being guided, however, by intelligibility, its ability to edify one another, and its utility in creating an atmosphere of reverence. There are objective instances of worship, public or otherwise, that did not require authorization in the manner that we in the churches of Christ espouse. The issue is not whether we need authority or not—we do— it is instead ‘how does the bible authorize’. and you cannot prove either one. But I weary of your pointless diatribes, so I will leave Bryant to deal with your diatribes. You are actually hilarious. Powerpoints are a hinderance?! I suppose Jesus writing in that sand wreaks havoc with your silly legalism. So Ewell, even though I gave you reasons for my two claims you still say that I can’t ‘prove’ them. But am I to take your assertions of being ‘NOT TRUE’ as correct without something to back it up—some justification—proof? Perhaps then you would like to argue for the contraries of my claims: that (A), the bible IS silent on some matters (e.g. that there are no biblical principles for using contraceptives—therefore you can either do whatever you want, or they are forbidden (based on your view of silence)), and that (B), there are no examples of people acting without what we call authority from God (that everything in the bible happens only due to God’s specific instruction). If (A) is true, and if we find silence prohibitive, then it will be difficult to live in this world without a strict sacred/secular divide (again, not biblical – I Cor. 10:31). If (B) is true then you must find a book, chapter, and verse for each of the examples I listed—as that is what WE call authority! I am sorry that it is difficult to have a discussion of this nature without animosity. This site is intended as a place for serious Bible study. Sometimes we will encounter those who disagree. Let us never grow angry over a time of Bible study. Ryan, each of your posts have been packed with ideas. But as I address those ideas you seem to just move on and pick more. I think I demonstrated that your first claim concerning the Temple was incorrect. I think I next dealt with the use of the fruit of the vine for the Lord’s Supper. Are you satisfied with those answers? If not, what exactly troubles you. Now I do agree with much of what you said in your post concerning CENI (command, example, necessary inference). However you accuse us of using “ad hoc rules” to make our case. But doesn’t that charge equally apply to you? You assume no word from God. We assume there is word from God based upon dozens of examples of God’s specificity in dealing with man especially in worship. Now I can make that case further and will be pleased to do so but I am going to stop at this point and let you respond. I think dealing with one issue at a time (or even one sub-issue) is best and will allow a deeper examination of the questions and ideas put forth. Otherwise it becomes like throwing mud against a wall and waiting to see what sticks. Thank you for the reasonable reply—it is much appreciated. While the odd comment here has been a little disconcerting, on the whole this has been a very pleasant exchange. Thanks again! I hear what you are saying about my merely moving on to other items after you have posted a rebuttal on a particular point. I suppose my interest here is not so much to prove the singular point about the Temple, but instead to make the case for the large point: that God does not always regulate worship in the manner we profess. Frankly, I’m not sure exactly how to respond to your view about the Temple. It seems clear, to me at least, from the verse I quoted in II Sam. 7, that the originator for the idea to build a temple did not come from God, but with David. Regarding wine, you said, “Now if we are discussing the Passover only we would say that since God specified nothing concerning drink it was left to the decision of the participants what they would drink.” Again, I’m not sure what you are saying here. Based on a ‘law of silence’ we should say that since God said nothing about drinks for the Passover that it should then be excluded. God said to eat, not to eat and drink! When I talk about ‘ad hoc rules’ (and this would also probably apply to any way out of the dilemma in the paragraph above) I’m referring in part to our anachronistic distinctions. For instance, our distinction between singing and instruments—we assume here that these are two mutually exclusive forms of worship from which God has specified one. But is this so? I often here analogies drawn that show our modern bias. We hear about gopher wood, or that when someone orders a Big Mac that this excludes other things on the menu. But let’s think about this a bit. We all know (even without ‘knowing’ it) that ‘tree’ is a genus from which gopher wood (is there such a wood?) would be a species. Likewise, a dinner menu is an accepted grouping of food from which a Big Mac would be a particular. This all seems like commonsense—if you specify an item from among a known grouping that this then excludes other items from that group. But is there such a list in the New Testament regarding forms of worship? I cannot see how we can necessarily infer one—no, we impose it upon the text. Even today this way of speaking about singing and instruments is very strange. If someone asked me if I’d like to sing some songs with them and later we got together and they had a guitar, would I be shocked? Would I say, “whoa, no one said anything about instruments! You specifically said ‘sing’!”. Of course not. Why? Because we know that these things are not mutually exclusive. Finally, you expressed that I also use ‘ad hoc rules’ saying, “You assume no word from God.” And this is expressly false. I think I have made this abundantly clear above. God has spoken and He has told us how we are to worship Him—we cannot do whatever we please. But we also cannot add to His laws in forbidding something that He has not forbade! This is not an issue of simply you following the bible while others follow their every whim—this is about how to draw a logical and reasonable line between what God has specified and what He hasn’t. It’s about rightly drawing a line between things essential and things that are indifferent (adiaphora)…this is the one issue I’m hoping to focus on. At stake here then—and yes, at some level I, too, must assert something not explicitly from the bible—is our view of God. It is our understanding of who God is and what He is doing in the this world that shapes the way we read scripture…and in turn, it is only from the way that we read scripture that we come to get a view of God. This is a bit circular, I know. But our differences, or so I believe, stem from a fundamental difference in our focus (whether we are conscience of it or not) of the nature of our Lord and savior! May God guide us as we continue read to His Word and to see Him better! However, the text commands us to “sing” and to “play” (literally “to pluck the strings of”). Therefore, the Spirit, through Paul, is commanding us to “sing and pluck the strings” (play/make melody) in heart to the Lord. The Spirit has provided the instrument we are to pluck or play, and that instrument is the heart. Therefore, no one has the right to alter the Spirit’s direct command to sing and pluck/play the heart to the Lord. We are to specifically sing and we are to specifically pluck/play the heart – the heart is the specified instrument. This eliminates all other instruments, including mechanical instruments. The Spirit, through Paul, tells us not go beyond what is written (1 Cor.4:6). The Spirit, through Peter, tells us to speak as the oracles of God (1 Pet.4:11), which means to speak just like God does, not speak differently. Much more could be added, but I believe this will suffice to demonstrate that the use of mechanical instruments is condemned by God, by the specific language of the text, and which is undeniable! Unfortunately, your claim that ‘there is no implication and there is no inference needed’ regarding Eph 5:19, makes your later statement utterly incoherent. For you then proceed to go ahead and infer an implication of this verse, stating that this means “instruments are condemned by God”, which is a going beyond what is written (1 Cor. 4:6). Scripture nowhere says this. I, however, would not want to argue that we don’t draw conclusions from verses. We certainly do. How else do we understand the author’s intentions behind a command? Are we to sing only inspired Psalms, as some argue? Should they be only cantillated? Should we only speak—while making music in our heart? Should only the men sing? Can we include the addition and invention of modern four-part harmony? Should we have song leaders and song books, or should we sing spontaneously with a more organic order? The questions are perhaps as many as there are groups of people to ask them! This isn’t a question over whether or not there is specific authority in this or other verses; it is instead a question over where and how to draw the correct line. How specific are the various biblical verses regarding Christian worship? We don’t want to draw our lines too tight or too loose—both would be examples of going beyond scripture! I also disagree with your point about ‘psallontes’—primarily because I disagree with those who try to wedge an etymological link between ‘psallo’ and using musical instruments. I think this is a stretch and a false grounding. The phrase ‘making melody in your heart’ most simply means ‘making melody from your heart’. A plain reading of this passage would have the heart as the source of our songs to the Lord. From our heart we speak and sing. The question then is: can we also sing from our heart with our lips and with instruments? From a typological point of view, it seems that Paul sees the body of believers as the temple and our voices as the anti-type of the Jewish instruments. And I agree with this. We ARE the ceremonial instruments that proclaim the glory of God, the gospel of the crucified and risen Lord. But again the question remains: can we THE instruments of God sing and sing through (non-ceremonial) instruments? We are told speak as the oracles of God. That’s direct. We are told not to go beyond what is written. That’s direct. We are told to sing (aido) and to literally “pluck the strings” (psallo) of your heart to the Lord. Whenever psallo is used in relationship to the lyre, the harp, and the timbrel, it literally means to play it. When psallo is used in reference to the above named instruments, it literally means to “play” the harp, Play the timbrel, or play the lyre. In our case, the command to “psallo” is not on a lyre or a harp or timbrel, but the heart, unlike Psa. 33:2-3, 68:25, and 71:22. In our case, Ephesians 5:19, the instrument to be played is indeed identitfied, and it is clearly the heart, which is to be played, contrary to your objections. Yours is a sin of presumption when insisting that something else could be added and used as an instrument, especially since we told not to go beyond what is written (1 Cor,.4:6) You presume yourself beyond what is written rather than confining yourself to Scripture. .
Doug, I don’t see what you have added to this conversation. I agreed that we are the instrument and that the origin is our heart. The question is: why do you then excluded all other things? Separating our heart from activity of our lips and hands is as silly as separating a harp from the air it plays in—for what is the sound of a harp (or heart) in a vacuum? Sincerely, I’m not sure why you presume I go beyond scripture when I’ve clearly stated that I use scripture to guide all practice and fellowship. Yours is a sin of presumption. The text offers us the specific thing to be “plucked” (played) and yet you ignore it and then, because of your fleshly desires, want to use something in addition. The thing specified is the thing authorized, nothing else is specified or authorized. BUT you want there to be something else, which means you are not satisified with the text, you are not satisfied with what the Spirit, through Paul, has specified, which is the heart that is to be plucked (played – as the texts in the Psalms demonstrate and which I have already pointed out) so leave the text (go beyond what is written) to satisfy you desires, rather than accepting what God has plainly said. We are commanded do two things here: “sing” (aido) and “play” (psallo – “pluck the strings of”) the heart. Obviously this is figurative language, which rules out the presumption of literally playing a literal instrument. Ryan, it’s not that hard to accept, but you are unwilling, since you are not satisfied with be constrained by the text. My first comes from a fear that this style of reasoning would require us to limit more than we initially set out to limit. What else would we have to be silent about? Does the New Testament mention pews? Stained glass? Toys in the nursury? Even if we only consider objects involved in worship, the New Testament says nothing about microphones, songsheets, projector screens etc. My second is about being presumptuous. The scriptures you put up make it clear (to me) that it is ok to have a capella music in worship. I also agree that we can find no scriptures in the New Testament that authorize instrumental music. But dont you have to agree that we also can not find scripture in the New Testament that authorizes a lack of instrumental music? You say it is being presumptuous to assume that instrumental music is authorized by the Bible. By this standard, wouldn’t it also be presumptuous to assume that a lack of instrumental music is authorized by the bible? It doesnt say anything in the New Testament about having instrumental music in worship. It doesnt say anything in the New Testament about not having instrumental music in worship. Maybe the best way to put it is this: We are justified in singing in worship…but where does it follow from scripture that we are justified in only singing in worship? 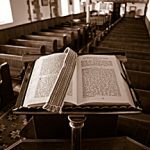 I am not trying to hint that it is wrong to have no instruments in worship; but If we can not find anything in the New Testament about having or not having something in worship, cant the decision only be based on something outside of scripture? We are talking about the law of exclusion. When God specifies something to be used or done, then all esle is excluded. If God said sing and play a harp, then we would be obligated to sing and play a harp. It would be the height of presumption to then insist that God did not say we couldn’t play the drums. Moreover, if God said sing and play an instrument, then we would have a choice of the instrument to be used (drums, piano, guitar, etc.). But it would be the height of presumption to insist that God did not say we couldn’t sing without an instrument (a capella). However, God has said sing and play the heart. God specified something we are to play (“pluck the strings of” – psallo) and it is the heart. God is not silent about it. He explicitly and specifically provides the instrument we are to play, and this automtically excludes everything else. And, it is, indeed, the height of presumption to insist that God did not say we couldn’t use drums, pianos, trumpets, etc. Therefore, the decision to use an instrument in worship has already been decided and legislated by God (the heart), without having to go outside of Scripture or to rely on personal preference, which would be presumptuous. If you stated that our God is a Holy God, and that therefore we should rightfully fear Him and be concerned about what we offer Him in praise, then I’d whole-heartedly agree with you. If you stated that we can’t just do whatever we want in worship, that our preferences are not a good guide for meaningful worship, then I’d whole-heartedly agree. If you said that many sincere people in the ‘denominations’ offer worship that runs counter to the anything that could be called be called ‘in spirit and truth’, then I also would agree. If you stated that our worship MUST be biblically informed, then I’d be right behind you. But when you use your words to draw a tight circle around only those who sing in corporate church gatherings, as if this was the true intent of the biblical passages cited above, then this is where I break ranks and say that it is you who are being presumptuous and lack any real sense of biblical theology! Hi Ryan, thanks for your visit. I am unclear as to your overall thinking on the matter. In the last paragraph you make some of the same points others and I have made. If I may ask, do you think the use of the instrument is acceptable in New Testament worship? What regulates worship if anything? You seem to suggest in your closing comments that there is some regulative principle but before I respond more specifically I would ask you to clear that up for me. Many of the things you say in this comment and those above just make me wonder. I’ll look forward to your reply. To everyone, not just Ryan, keep the tone civil and the rhetoric humble. We can all learn from one another and be challenged by others. Let’s work together to know the Lord’s will more perfectly. First, the “Law of Exclusion” implies there are things “included” – things that are authorized only, which necessarily implies there is the “Law of Inclusion” (as per verses like Col. 3:17; Heb. 7:14; Rev. 22:18-19, etc.). This law of inclusion is not merely presumed, but rather it is affirmed throughout Scripture (cf. Deut. 4:1-2) The verses authorizing singing do NOT exclude playing–it is the absence of authority for playing in any other verse which excludes it–not a verse which teaches that we ought to sing. In other words, if there was a verse in Acts which said: “But about midnight Paul and Silas were playing and singing hymns unto God in jail”, then verses authorizing singing such as Eph. 5:19 and Col. 3:16 would not “exclude” the authority for singing and playing found in this (admittedly invented) passage. “modifying” aspect of any other Bible verse–Remote Context. This includes verses where illness is dealt with or referred to in ways which demonstrate that physicians, aspirins, and so on are allowable (Mark 2:17; Matt. 9:12; Col. 4:14; 2 Tim. 4:20) in that those other verses authorize them. If it was unscriptural to have a doctor why did Paul have Luke as his personal physician? Jesus said in Matthew 9:12 that those who are sick need a physician, which is the general rule. Moreover, 1 Timothy 5:23 forever falsifies your allegation from James 5:14, and it is in the very same context. You have claimed a parallel which is NOT parallel, because you have NO OTHER VERSES in the entire Total Context of the New Testament which in fact do authorize playing a mechanical instrument in worship to the Lord! You simply have NO “large group of other options (i.e. verses) to choose from” which authorize playing, but we (a capella churches) DO have (as demonstrated above) remote verses authorizing dealing with illness in a way other than by the laying on of hands by an eldership. Additionally, one can show that miracles such as were being done in the first century, including those done by the hands of an eldership, have CEASED–as per the remote text of such verses as 1 Corinthians 13! Thus, it is NOT presumptuous on “our” part to study and see that SING is authoritatively sanctioned way to approach God musically, for the co-ordinate “PLAYING AN INSTRUMENT OTHER THAN THE HEART” is nowhere taught in the New Testament as authorized for Christian worship. James 4:14 is no more applicable today than the spiritual gifts in I Corinthians 14. Further, James 5 shows that we may sing by ourselves or with others outside of a local church assembly. But, in so doing, James still specifies “sing,” just as all other verses on the subject. In the final analysis, you must furnish authority for using instruments, etc. Third, there is no claim that the “church of Christ way is the only way” as if any church has any authority to bind or loose anything. There are churches of Christ throughout the world which are liable to do nearly anything with regard to Christian worship. No, the “Bible way” as shown by Total Context on this (or any other) subject is that for which we plead in view of such verses as Acts 1:2; Luke 1:1-4; 2 Pet. 1:21; Acts 15:24; 1 Thess. 4:15; 1 Cor. 14:37; Phi. 4:9; 2 Thess. 2:2; 2 Tim. 1:13; Heb. 8:5; 1 Cor. 4:16-17; 7:17). The Bible way, not “the church of Christ way”, is the only correct way. The church, made up of men, is not inspired, but God’s Word is. We are NOT using our own words to “draw a tight circle around only those who sing in corporate church gatherings”, but rather the teachings of God as found in Scripture rightly divided. If you mean that the verses in question do not apply also to private worship of God by an individual or a smaller group in a private setting then you are sadly mistaken (cf. Acts 16:25). The verses apply to any situation wherein God is being worshipped. Fourth, the first 5 sentences of your last paragraph imply that you agree that we must have Bible authority for what we do in worship to God, but what you further say simply shows we differ on the specifics of the hermeneutical procedure used to decipher God’s will in the matter. I would have hope that once you see your error as to specifics, you will acknowledge the truth in this. Consider “praying through Mary” in light of Bible authority. Our approach is, indeed, the correct one. Also, the Bible specifies unleavened bread and fruit of the vine, grape juice. Will you insist we can have beef sandwiches and buttermilk instead if that is what we want? Have we drawn an unauthorized circle around us enclosing only the elements specified? What about women elders, or even no elders at all but use an elected committee of men and women to oversee a congregation? Or, does the organization matter and we can duplicate Roman Catholic, Mormon or Jehovah’s Witness structures and have a Pope over all the churches? It appears you would not prohibit such things. Let me first state that I am a member’s of the Lord’s Church. I came across this site in an effort to “see both sides” of the ages-old debate regarding instrumental music, as I am going to be studying it tonight with someone who has never heard either side before, and wanted to be better prepared. While MANY things have been said here to encourage me on to further study, I must say that if I am reading this as an “outsider” (someone who has never heard/read these “theories” before), I would be more confused than ever. I firmly believe that in a discussion where 2 parties have opposing arguments, they can either both be wrong or 1 can be right and the other wrong. But they can’t both be right. Here we have 47 comments from members of the brotherhood that are filled with pride, accusations, name-calling, put downs and down right false teaching…. from both sides, in my opinion. I just wanted to leave a note here to encourage ANYONE in my position reading these posts, comments, etc just looking for simple truth to not get lost in the banter and debate, but to keep looking for the truth in scripture and in God’s love. Let the Spirit guide you in your journey, and only hold fast to the black-and-white inerrant word of God. All speculation, inference, interpretation, commentary, opinion, etc is NOT inspired by God and is therefore just that… speculation, inference, interpretation, commentary, and opinion. May we continue to show LOVE to those within the brotherhood, as well as those outside of it so that they may see CHRIST because they have seen us. Kelly, while this is your opinion, it is also a “judgmental” attitude on your part. You make asertions offering absolutely no proof. Then, in your own pride, accuse others of being “filled with pride.” Offering your “opinion” here only muddies the water because your opinion is claiming to know the hearts of all who replied. And, I’m sure you would agree with me, that you do not know the heart of the brethren who have responded here, yet you are willingly voicing your opinion that you do know their heart. HMMM! Perhaps more study in this area may help you in other areas as well? You are absolutely right… I do not know the hearts of ANY of the people who posted here, except my own. I was simply stating what it looked like from the outside, and was trying to encourage others not to be dismayed by that … I would add that I would hope they are not dismayed or discouraged by anything I said as well. Including you, sir. It definitely was not my intention to cause further division, or to offend anyone at all. It was simply an apparently poor attempt at “peacemaking” or offering encouragement. It is my sincere hope that as Christians we would all support each other in continued study of God’s word. I assure you, I didn’t mean to insinuate anything about the hearts or intentions of those who posted here … just what the appearance of it was. May God continue to bless us all in the knowledge of His word and in love for one another. So why would God make allow the existence of musical mechanical instruments if all they are designed for is secular use? Should we not use them for Him? If the church of Christ claims the old testament law is obsolete why do we study it and why is it in the Bible? While I agree it is important to correctly interpret the biblical word of God, isn’t it even more important to first have a personal relationship with Jesus Christ? Hi Aaron, thank you for your visit. You are correct that we must have a personal relationship with Jesus Christ. He alone is the only way to eternal life. You will not find a bigger advocate of a personal relationship than me. But can you have that kind of intense personal relationship without a proper understanding of his own words? God has given us many things that are wonderful and glorious in their own right. Yet, they are not used in worship. Remember, the object is God. He alone is worthy of our worship. He specifies and we follow. The desire is to be pleasing to him. Aaron, we have a relationship with Christ by being obedient to Him. Jesus simply said, “If you love Me, keep My commandments” (John 14:15). John writes, “This is the love of God, that we keep His commandments, and His commandments are not burdensome” (1 John 5:3). Love demands we obey, but love also submits to His authority. Some teach that it’s not so bad if we do not follow Him or obey Him, as long as we love Him, which contradicts the above passages. The principle of love never rises higher than the principle of His authority. We study the Old Testament because of its value in understanding the New Testament. Paul said that the things that were written before were written for our learning (Romans 15:4). That is, there are many principles we can draw out of the Old Testament, but we do not submit to the Old Covenant as our law. We are under the law of Christ. I really believe d.s. raj is the only one that’s got handle on this. If something is not mentioned in the bible it’s outlawed here on this site. all the psalms – it goes on. Thank you for visiting Phil. I hope you will come back.